Our Sunday School program will be up and running soon. Please check back for more information. Day/Time: Wednesdays: 6:30-7:45 pm (starting January 9, 2020). Pastor Paul walks us through the four canonical Gospels toward a deeper understanding of Jesus Christ. Who was the historical Jesus? How was he portrayed differently by each of the Gospel writers? What were some of his core teachings? How would Jesus address some of today’s issues? This study is intergenerational (it is geared toward both youth and adult). It is also designed for those who are new to the faith as well as those who are experienced practitioners. Bring your notebook and Bible in whatever form (iPad, smartphone, hardcopy, etc.). Feel free to bring a friend. 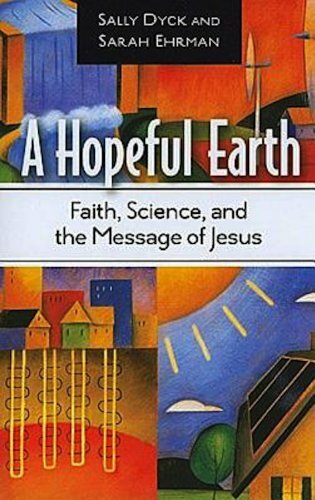 Based on the book by Sally Dyck and Sarah Ehrman, this study focuses on the environment as God’s creation. As such, Christians are challenged to lead the effort in taking care of the planet.